Back in December 2010, we reported that writer-director Paul Thomas Anderson was considering an adaptation of Thomas Pynchon‘s Inherent Vice possibly starring Robert Downey Jr. as pothead private detective Larry “Doc” Sportello. In 2011, Anderson tried to get financing for Vice along with his upcoming film The Master, which recently premiered at the Venice Film Festival, play at TIFF, and then open in limited release on September 14th. Anderson has now turned his attention back to Inherent Vice and is currently working on the script. 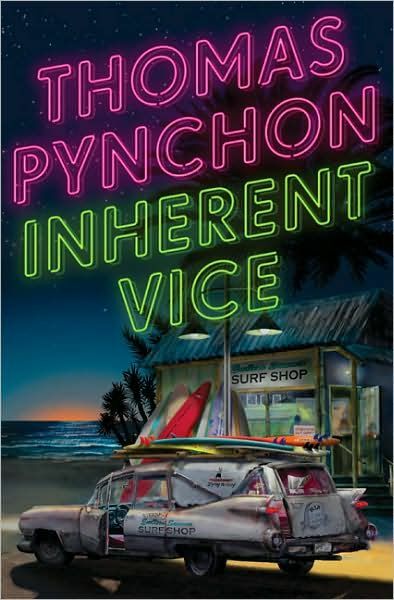 Hit the jump for more including how Inherent Vice isn’t the only Pynchon novel on Anderson’s radar. Even the funniest moments in Anderson’s movies have been tinged with sadness, so I’m curious to see him go into a mode that may be more broadly comic. I haven’t read Inherent Vice and Gravity’s Rainbow yet, so I open the floor to those who have: is Anderson the right guy to tackle these adaptations? But although Anderson has been working on bringing the Gravity Rainbow author’s most accessible work to the big screen for several years, it’s not clear exactly when it will happen.